Saudi Arabia has reportedly offered to buy arms worth up to $15 billion from Russia, and provided a raft of economic and political concessions to the Kremlin - all in a bid to weaken Moscow’s endorsement of Syrian President Bashar Assad. The diplomatic initiatives were anonymously voiced to Reuters by multiple Gulf state diplomats and senior leaders of the Syrian opposition, in the wake of last week’s meeting in Moscow between Russian President Vladimir Putin and Saudi National Security Council chief Prince Bandar bin-Sultan. 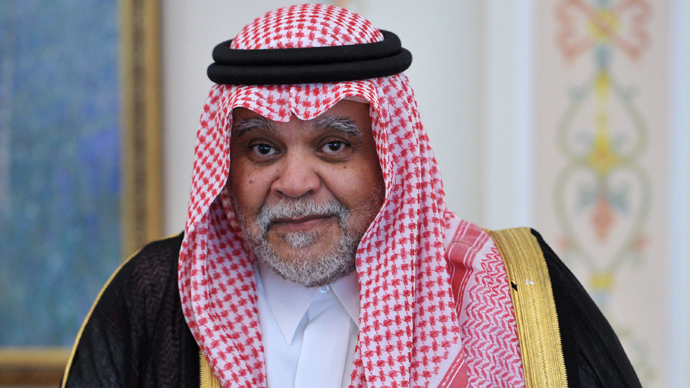 The Saudi politician has orchestrated his country’s foreign policy in recent months. "Bandar sought to allay two main Russian fears: that Islamist extremists will replace Assad, and that Syria would become a conduit for Gulf, mainly Qatari, gas at the expense of Russia." The $15 billion figure was touted by a representative of the anti-Assad opposition, which Saudi Arabia has strongly backed throughout the rebellion in Syria which has lasted more than two years. Meanwhile, a Gulf source claimed that no specific figure was involved. Moscow and Riyadh, which traditionally acquires its arms from the United States, have had a massive contract on ice since 2008. 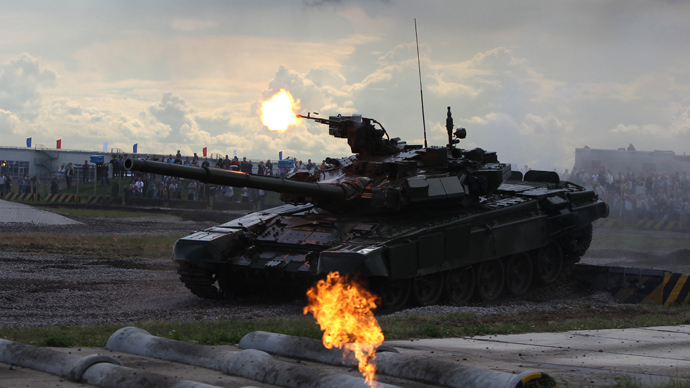 Under Saudi Arabia’s terms, Russia would supply a huge assortment of equipment, including 150 T-90 tanks and more than 100 attack helicopters. In the past, Moscow has supplied billions of dollars worth of weapons to Assad, as well as maintained a naval base in Syria. Together with China, it has consistently blocked UN Security Council resolutions, saying they do not place any demands on the opposition - only on Assad. Sources indicate that Bandar asked Putin to not oppose any future Security Council resolutions on Syria. Bandar also reportedly assured Putin that Gulf states will not challenge Russia’s dominant position in the European gas markets, and promised him that extremist Islamic forces – which have gained prominence in the conflict – will not attempt to monopolize power in a future Syrian state. A Western diplomat told Reuters that Russia’s position was more a matter of prestige and geopolitics, and that the country was unlikely to publicly back down for the sake of mere economic incentives. There has been no comment from the Kremlin on the outcome of the visit, other than to say that the delegates discussed a “wide range of issues” with President Putin. A long-scheduled peace conference in Geneva, proposed by Russia and the US, has been pushed back and is currently under threat of cancellation. The meeting was supposed to achieve an immediate ceasefire and govern a political transition in Syria. The conflict has largely hinged on whether President Bashar Assad will be banned from playing any political role in post-conflict Syria - a condition the opposition has demanded before it sits down at the negotiating table. More than 100,000 people have perished in the conflict, according to UN estimates.